So, it may be that what you need or will want will be adjustments to the embellishment of the dress. 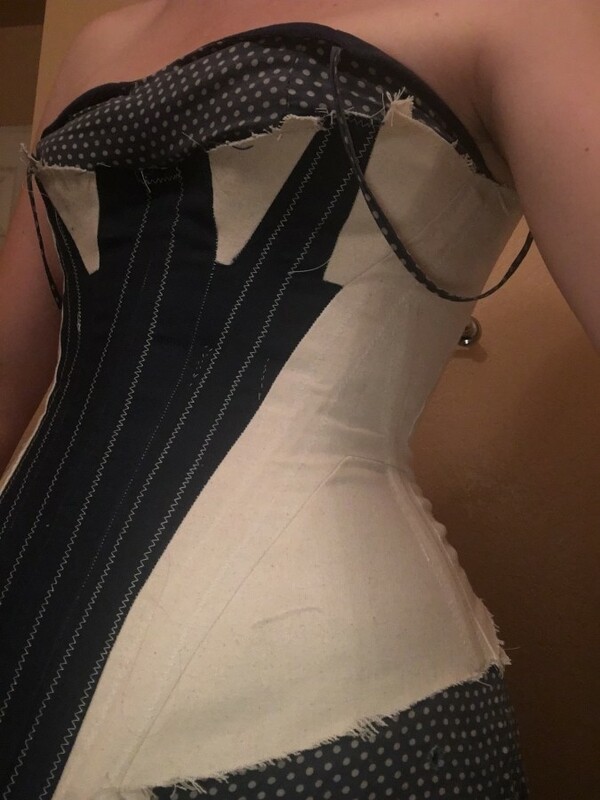 To test whether letting it out at the outer bust area would help, I split the mockup at the seam between pieces 3/4 and 5 and added a quickie “gusset”(really just a strip of fabric sewed in). That really helped! 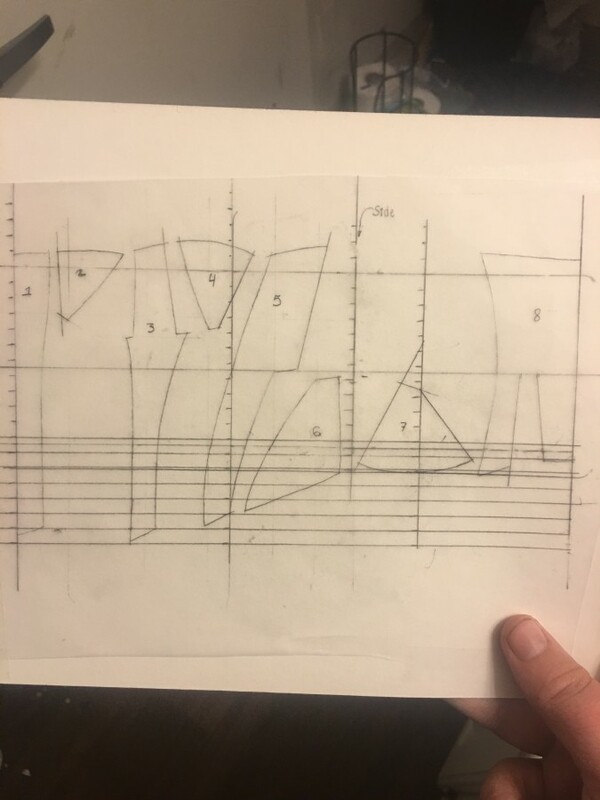 So in altering for the next mock-up I’ll probably just widen pieces 3 & 4. 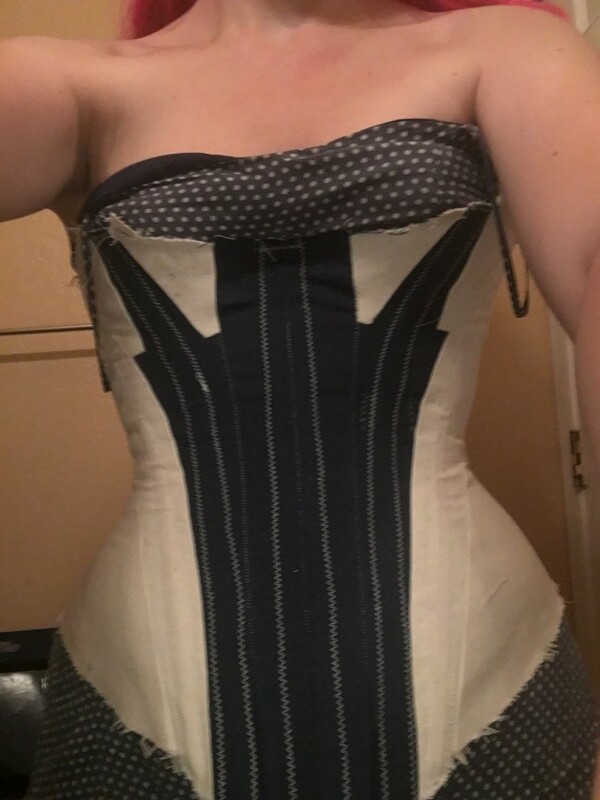 Re: actual corsets in period, yep I’ve seen plenty of photos with ladies with corset ridges visible through the dress. That’s what corset covers were for! 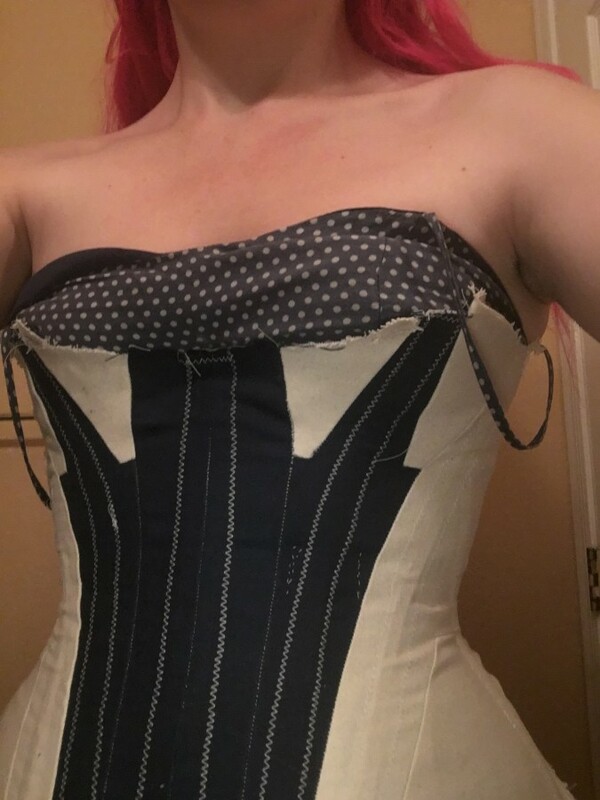 Actually since(as I understand, correct me if I’m wrong) many if not most women wore off-the-rack/mail order corsets, it’s surprising there aren’t more extant photos of women in obviously ill-fitting corsets. I guess it’s as you say, the dresses they wore could cover a multitude of sins. 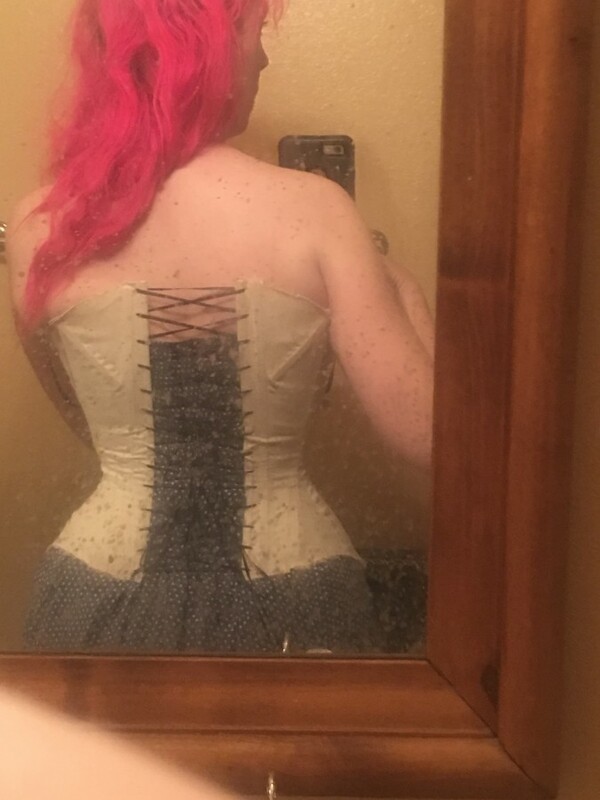 Actually I don't know how many ladies were buying ready-made corsets, what percentage had their corsets custom-made, and what percentage made their own stays, at home. 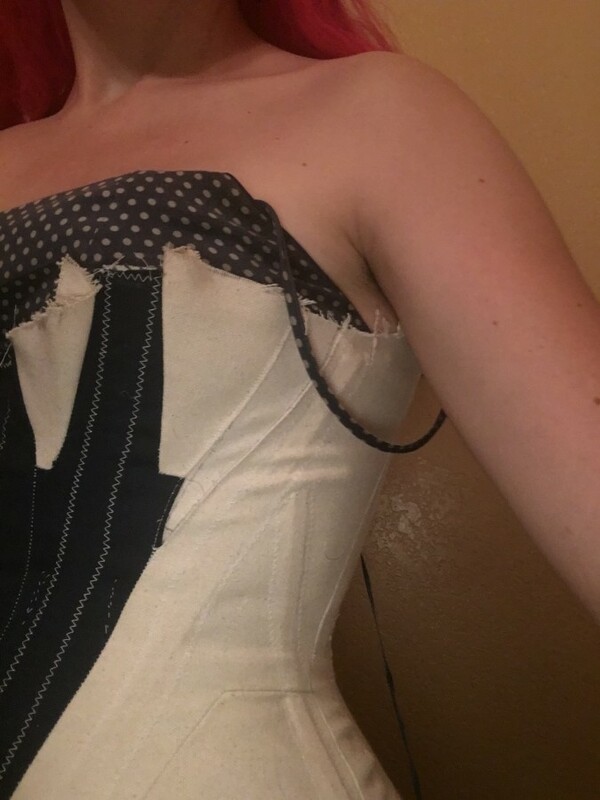 I thought the corset cover was meant to cover the ridges caused by the corset or stay boning, and in the interest of decency (had to have something between the corset and the frock, as if a corset cover interfered with others' X-ray vison. Whaleboned stays or corsets, though, had a tell-tale creak when the wearer moved enough or moved in certain ways, which gave away the presence of this foundation garment. What I was meaning, specifically, was the tissue which gets displaced toward the armpit or the top of the shoulder blades, or toward the thighs and hips. Just want to say, it's been so long since I've seen any delicious eye-candy in this community and even as a mock-up, this is lovely. Looking forward to seeing the finished piece!